The extension that he gets with his leg here, again, is only possible because of the amount of work he does on his hip stability and mobility. Finding a defenceman with tight hips and working on loosening his hips can instantly make a big difference on the ice, and help that d-man become a force defensively. And guess what helps you perform better and more explosive crossovers? You guessed it - Hip Mobility! Today I want to introduce you to our Brand New Hockey Hip Fix Program! We cover all aspects of hip mobility for hockey players in this program with routines for your warm ups, cool downs, or on days when you want a full routine to run through! We take all of the guess work out of training hip mobility like a pro with the complete Hockey Hip Fix Program, and after following these routines and unlocking your hips you will be dominating every time you step out on the ice! Included in the member's area as a bonus you will also receive our 28-minute Hockey Hip Fix Yoga follow along routine! After running through this Hockey Yoga routine a few times you will feel amazing the next time you hit the ice! 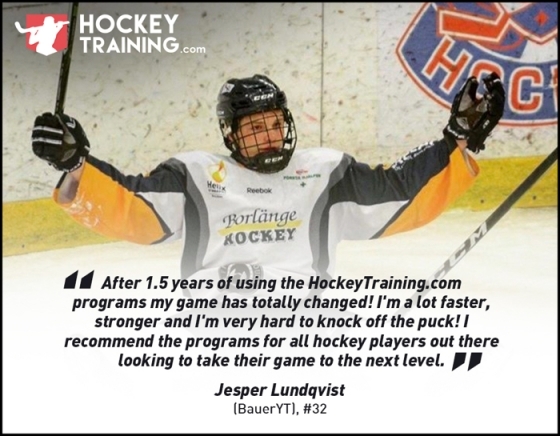 We have a goal here at HockeyTraining.com to help 20,000 hockey players this year improve their performance and become better hockey players. With that, we offer a massive discount on all of our programs. 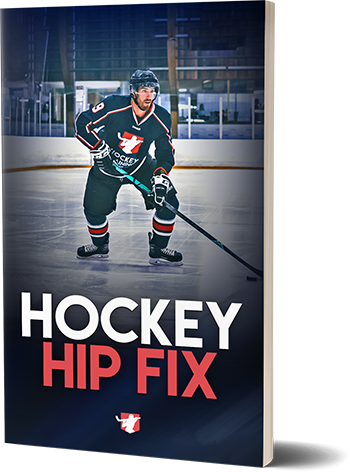 This full Hockey Hip Fix Program, including the full video walkthroughs in the member's area, is just $39 today! 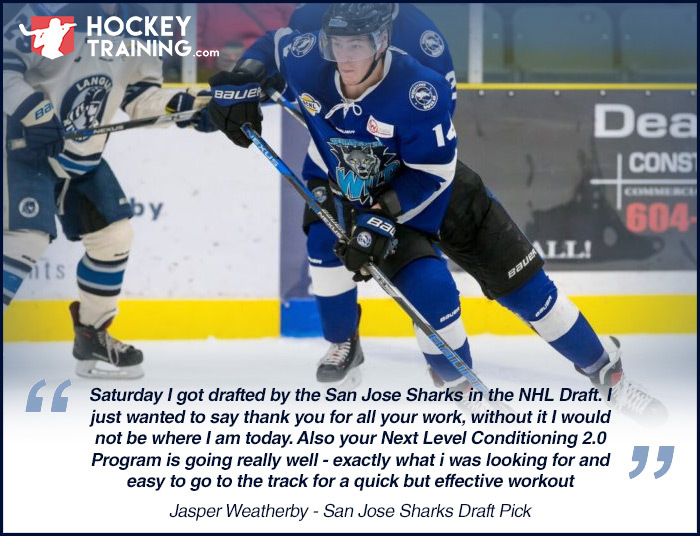 Yup, just $39 - a fraction of the price you'd expect to pay and the true value of this program and less than one single session with a high-level hockey trainer! I'm In! What's The Cost? 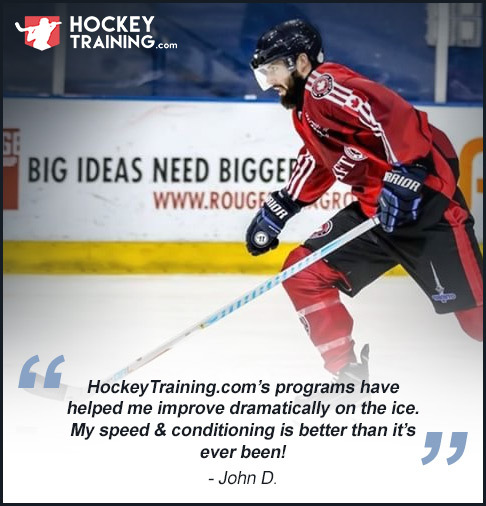 As with all of our hockey training programs, we stand completely behind this Hockey Hip Fix Program and are offering you a 60-day 100% money back triple guarantee. 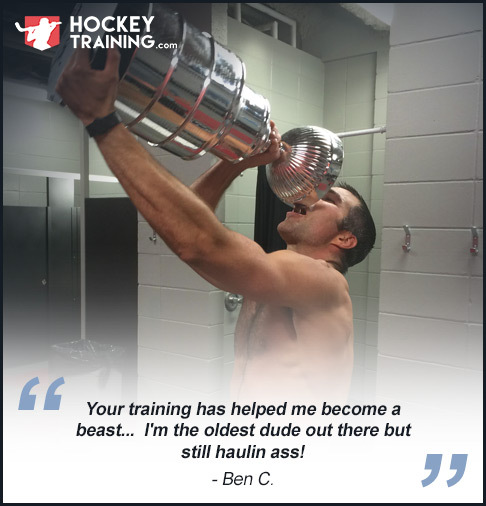 Whatever the reason, if you aren't 100% satisfied you can email me at Kevin@HockeyTraining.com and let me know. I will refund your full payment without question. 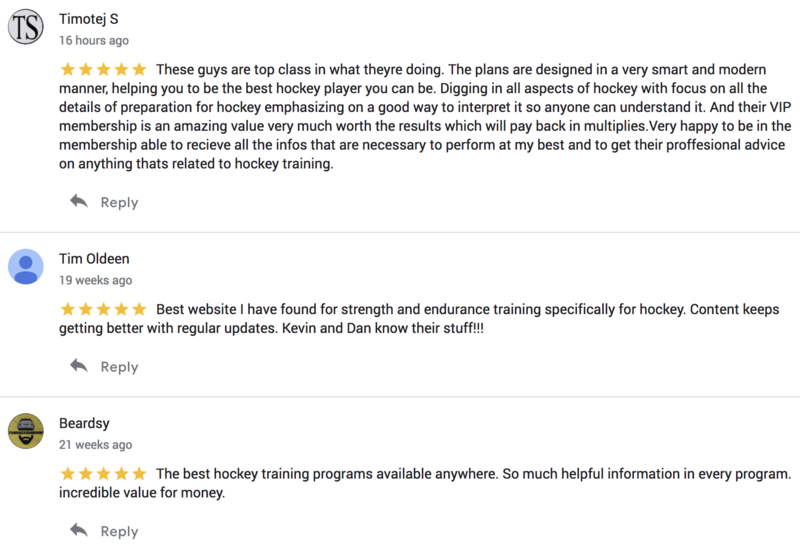 That is how confident we are that you will absolutely love the program and notice great results and improved performance on the ice. Let's get you started now! Click the green button below to join the team! But Wait, I've Got Some FREE Gifts For You! In the member's area we've uploaded our private Mohawk Skating Video that is going to help you learn how to use the skating techniques that you see your favorite NHL stars using to create more time and space and score more goals! This is included as a FREE Gift and is available to watch instantly when you sign up today! We've included 4 bonus Hockey Mobility Routines as a FREE gift with the Hockey Hip Fix Program! 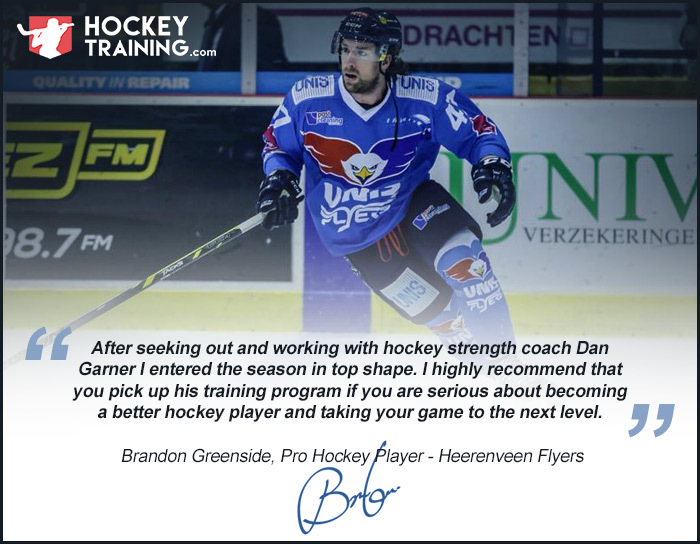 You will get instant access to an Ankle, Lower Body, Thoracic, and Upper Body mobility routine - all specially designed for hockey players to help you unlock your true potential out on the ice in all areas of the game. 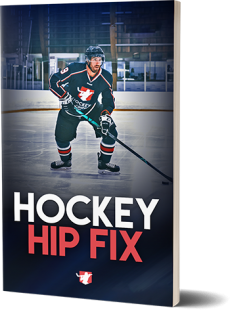 When you sign up for the Hockey Hip Fix Program today you will receive full access to our "Hockey Skills Drills" Program in the member's area absolutely free - we will pay for this one out of our pockets for you! This program includes off-ice skills workouts for stickhandling and shooting that can be done with minimal equipment. This includes video demonstrations of each drill and training sheets to follow for those looking to put in the extra skills work! 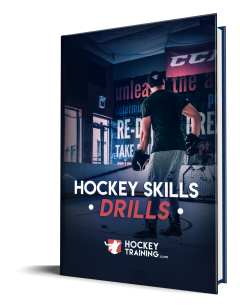 This Hockey Skills Drills program is one of our most popular programs and sells for $29, but is included FREE today when you sign up today! Q. What equipment do I need access to for the mobility routines? None! This program includes routines that are bodyweight only and can be done pretty much anywhere. All ages, including youth players! The mobility routines can be used by hockey players of all ages. And it's never too young to get started with mobility work. 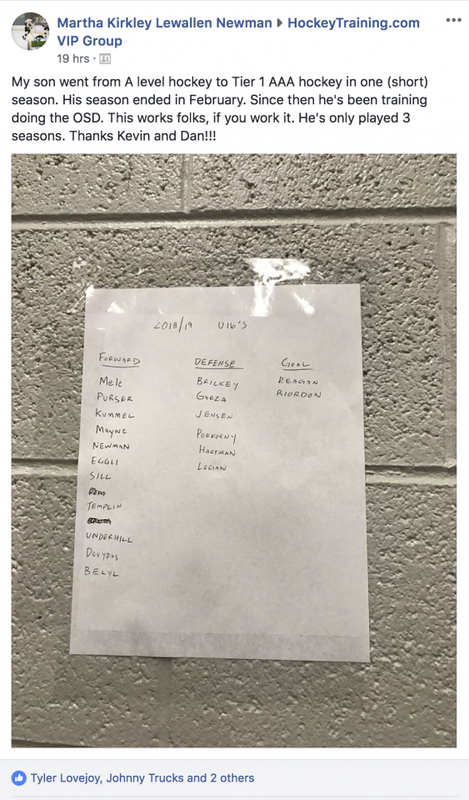 Note: The Hockey Hip Fix Training Program is a completely downloadable series of e-manuals. No physical products will be shipped. After you order, you will get INSTANT ACCESS to download the product guides onto your computer (no waiting or shipping costs). The format for all manuals, workbooks, and checklists, is adobe acrobat PDF, which can be viewed on Mac or PC, and even most mobile phones.